Collective Arts Brewing is a grassroots craft Canadian brewery that “aims to fuse the creativity of craft beer with the inspired talents of emerging artists and musicians.” They feature limited-edition works of art on their beer cans and labels, and they work to “make sure the liquid on the inside is as diverse and creative as the artists we profile.” I got lucky enough that one of my designs was chosen to be featured on their limited-edition Pina Colada beer, part of the Summer 2018 line-up. The limited edition beer made its debut at the London Craft beer Festival, and sold out in a few weeks! 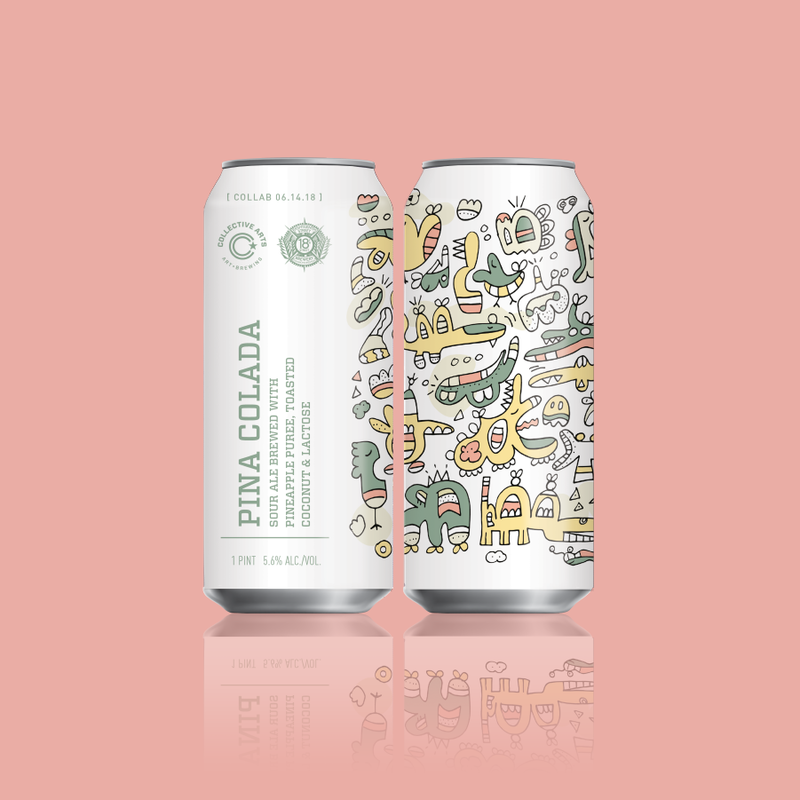 Pina Colada was made in collaboration with 18th Street Brewery from Hammond, Indiana.